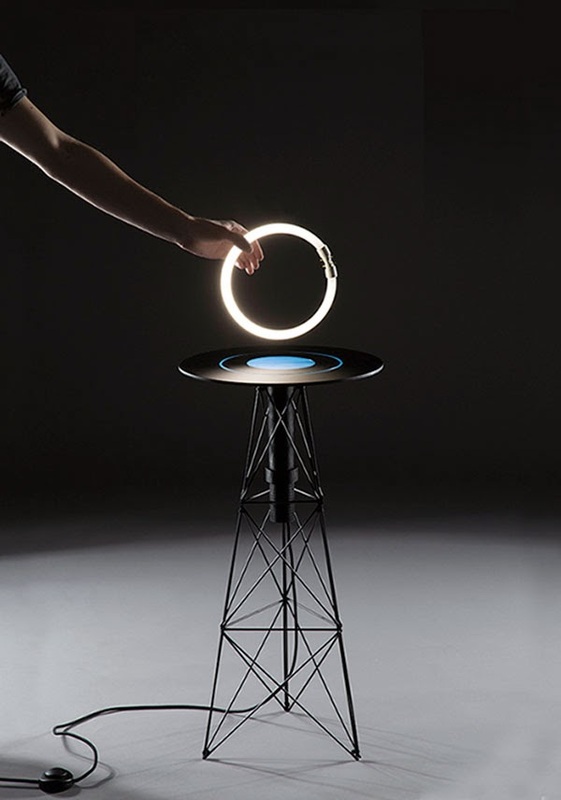 An experimental table that produces a localized electromagnetic field which lights up fluorescent tubes within a short range without any physical contact. 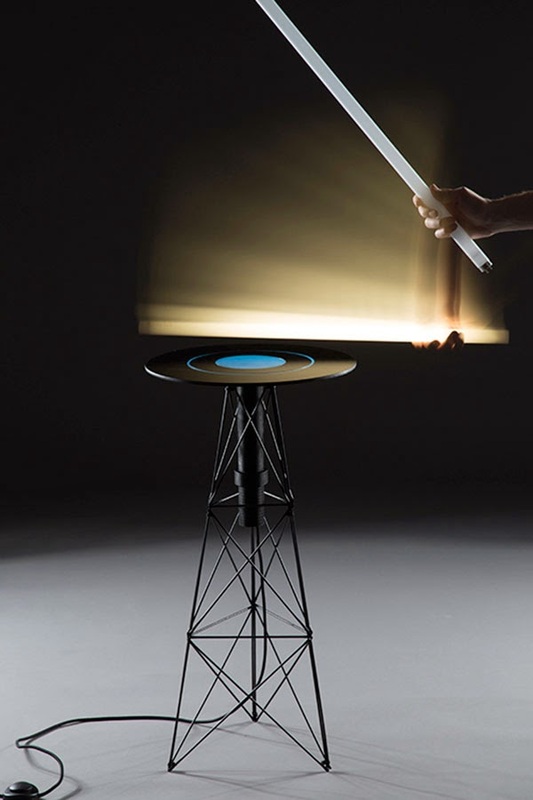 The EM table allows the user to interact with an energy that is otherwise invisible. 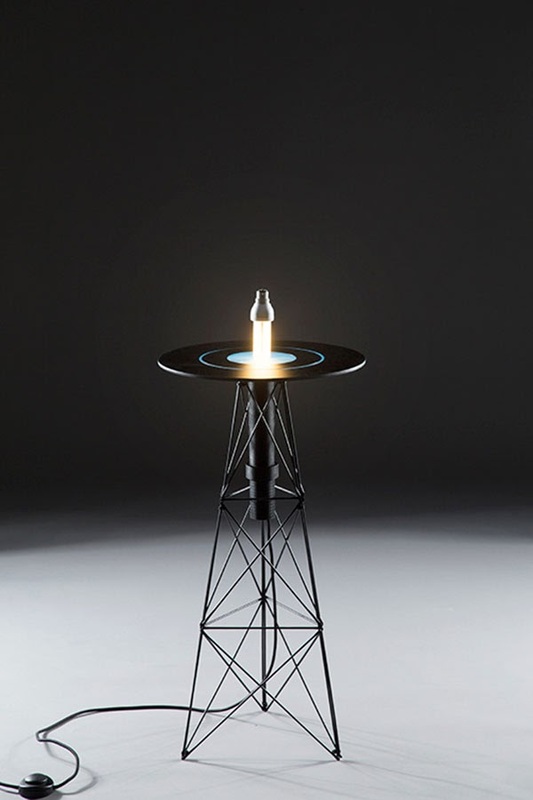 An electronic circuit is embedded in the table and turns a low current into an electromagnetic field, acting directly on the gas within the fluorescent tube.